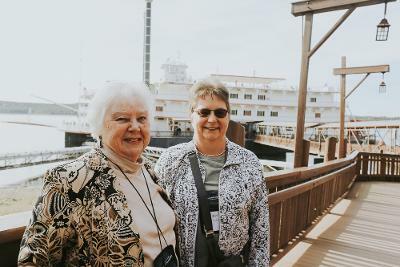 The Immanuel Explorers set off for an adventure in the beautiful and entertaining Branson, Missouri. 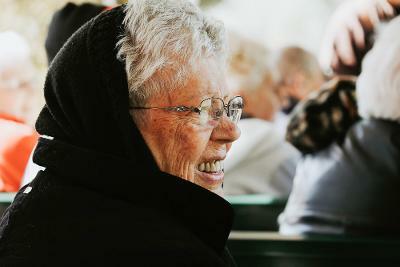 Residents from multiple communities boarded a charter bus on a Sunday morning at Pacific Springs Village in Omaha and set off for their destination. 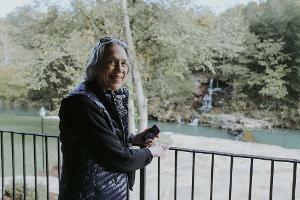 After a drive through rolling hills and colorful autumn trees, the group arrived at the beautiful Grand Oaks Hotel and rested before Monday’s events. 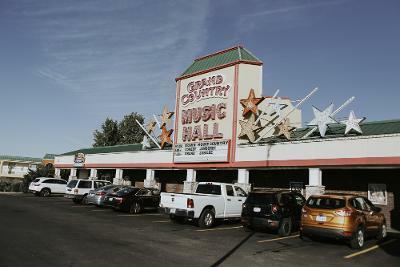 The first show of the trip was The Down Home Country Show at Grand Country Music Hall. Residents took a step back in time with the talented musicians, listening to classics of George Jones, Dolly Parton, Merle Haggard and more! 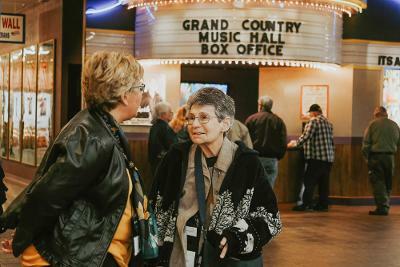 Incredible fiddling, comedic talent, and traditional country music filled the music hall, with residents clapping and laughing along. 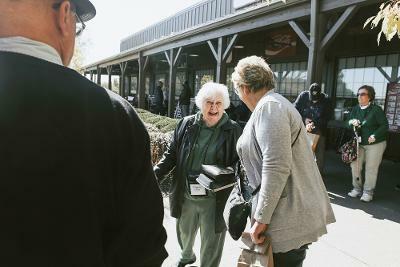 A hearty lunch followed at the Grand Country Buffet, with offerings of fried tilapia, peach cobbler, and every southern comfort food imaginable. 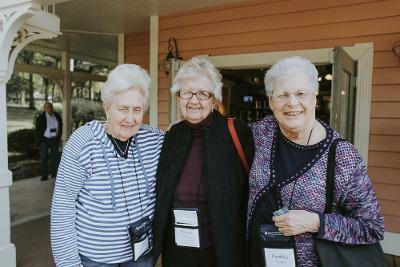 The servers continued the entertainment by forming witty banter between themselves and the residents, as well as pushing a new dessert every time they’d pass by. 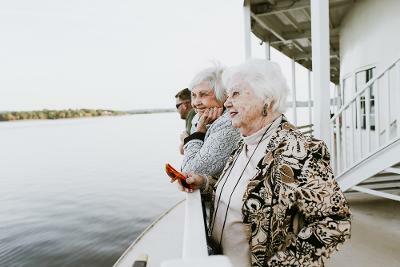 After a short rest at the hotel, residents then left for dinner and a show on the Branson Belle Showboat at Table Rock Lake. The infamous showboat was 278 feet long and 78 feet wide, fitting up to 700 passengers. 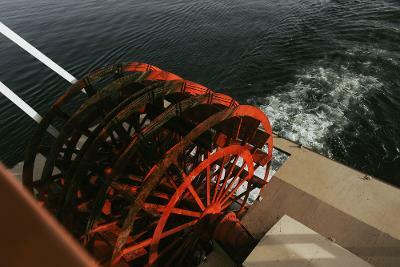 The boat is moved through the water by two twin paddle wheels, both 16 feet wide. These massive red wheels churned a large, foamy path through the lake, and were impressive to see in action at the rear of the boat. 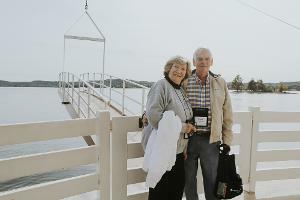 When residents entered the boat, it was as if they had stepped into a bygone era. 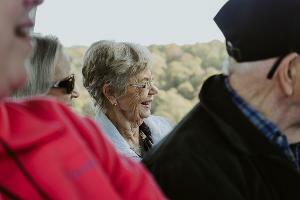 Themed after the majestic showboats of the 1800s, the Branson Belle was glamorous. 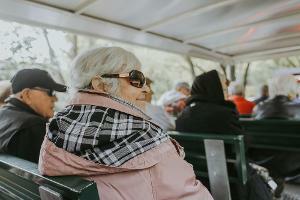 After being escorted to their seats at the theater inside the boat, everyone was served a three-course meal. 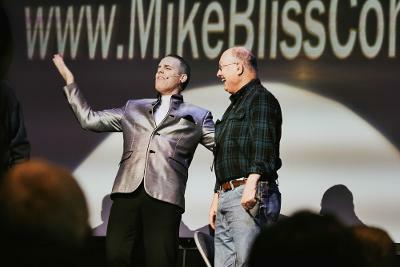 Entertainment included a magician, music, tap-dancing, comedy and more. 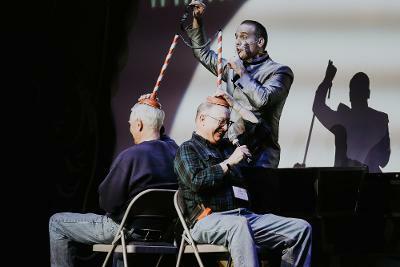 One of our own residents, John, was even picked from the crowd to be part of a magic act! 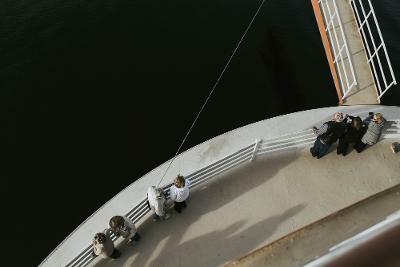 During intermission the audience was allowed to roam the boat and take in the beautiful views of the sunset over the lake. The weather was in the mid-seventies and perfect for an evening outside. 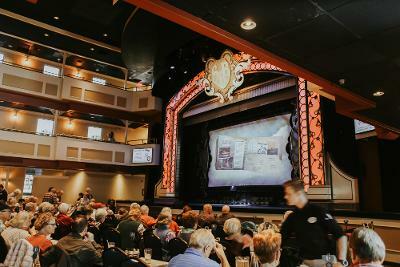 The day ended with a trip to Pierce Arrow Theater in downtown Branson. 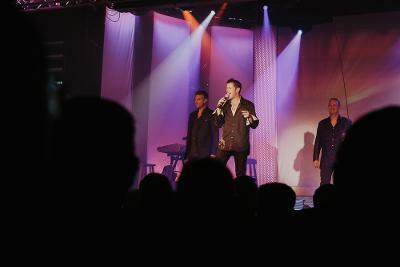 This variety show is famous for its four-man band, Pierce Arrow, and their covers of several famous songs, ranging in genres from rock to gospel. 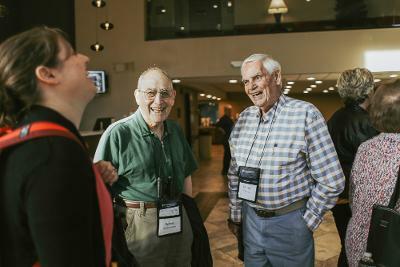 They performed songs from decades past, serenaded a newly-married couple onstage, and included several comedic breaks with the comedian James Sibley. 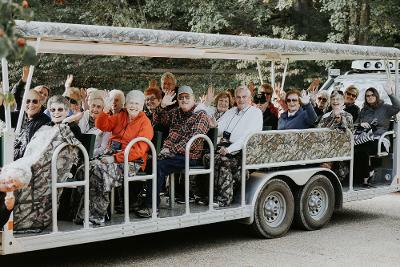 The following day, a change of scenery was in order, and residents boarded the motor coach for Dogwood Canyon Nature Park in Lampe, Missouri. 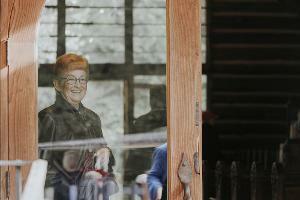 This 10,000-acre rugged landscape in the Ozarks has been modified to provide access to guests. 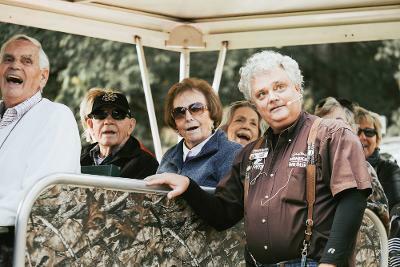 Residents experienced the park through a two-hour wildlife tram tour, narrated vividly by a Dogwood spokesman. 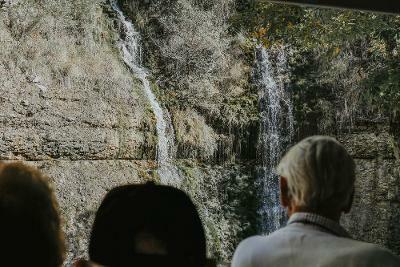 He “spoke like his kinfolk,” weaving storytelling and humor into every waterfall and rock that was passed. 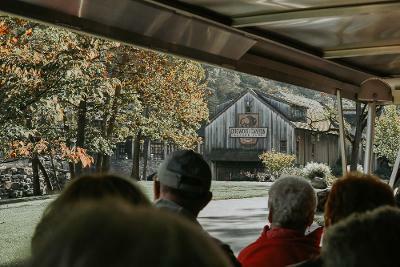 Stops along the way included an 1800s-style Hope Wedding Chapel, Thunder Falls Crossing and Glory Hole - a blue-green pool where some of the largest trout reside. 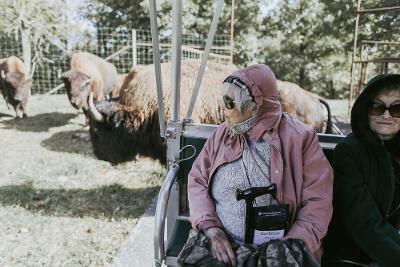 Only a handful of people have been allowed to fish in this spot, including President George Bush Sr.
After the tram crossed the Arkansas border, residents got up-close and personal with a herd of bison, as well as large elk. 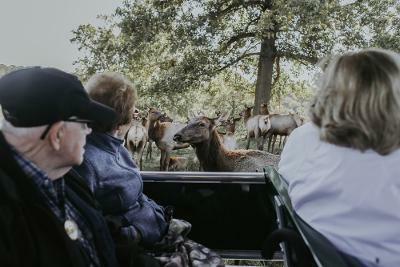 The spokesman passed large antlers back through the tram so that everyone could feel the texture and take in the size. 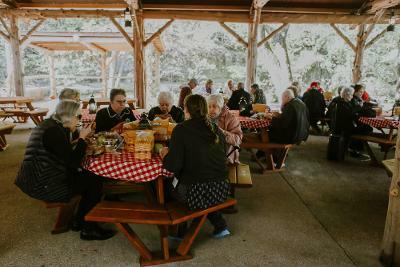 At the end of the tour, everyone enjoyed a picnic lunch provided by the park. 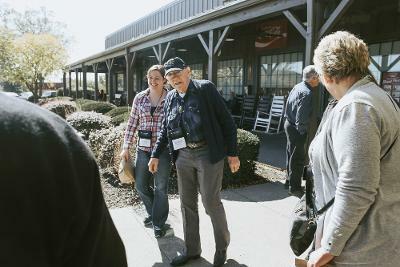 The picnic took place in the area where Johnny Cash and Willie Nelson once performed. 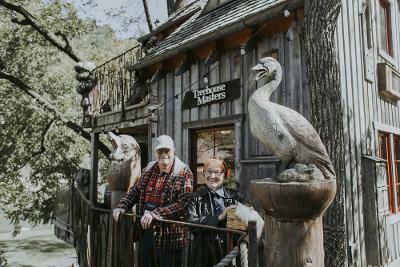 Residents then toured the main building and passed over the connected bridge to explore a treehouse. Although it was hard to top the outdoor adventure, the final show of the trip may have done just that. 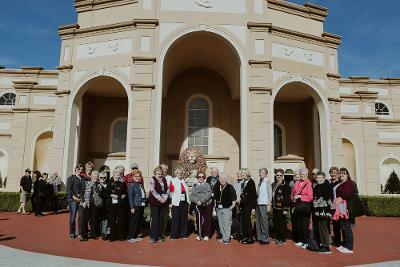 Residents traveled to the grand Sight & Sound Theater to experience the production of Samson. The theater itself was an incredible sight - towering atop a hill overlooking the Ozark landscape. 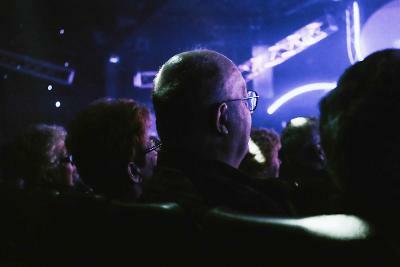 Each year the theater welcomes over a million people from around the world to view biblical stories come to life. 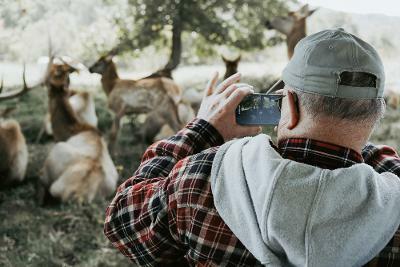 The 300-foot stage wrapped around the 2,000 seat auditorium on both sides, offering a panoramic view for the audience and showcasing impressive backdrops, amazing special effects, and live animals (including a camel, donkey and two pigs). The Tuesday performance was received by a packed auditorium, and everyone watched in awe as Samson cracked two massive pillars, sending large set props tumbling to the ground. 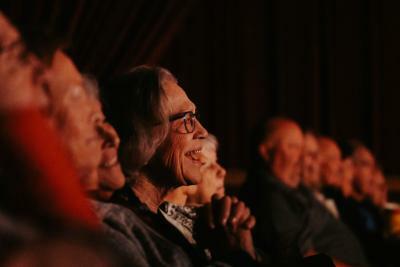 Residents left the theater with smiles on their faces and excitement for what took place. 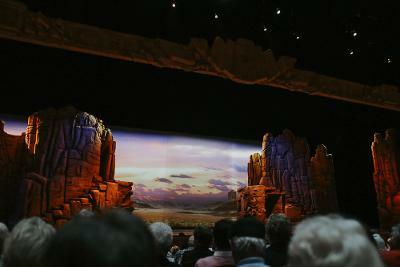 Some even commented that they had seen Broadway shows that didn’t compare to this production!